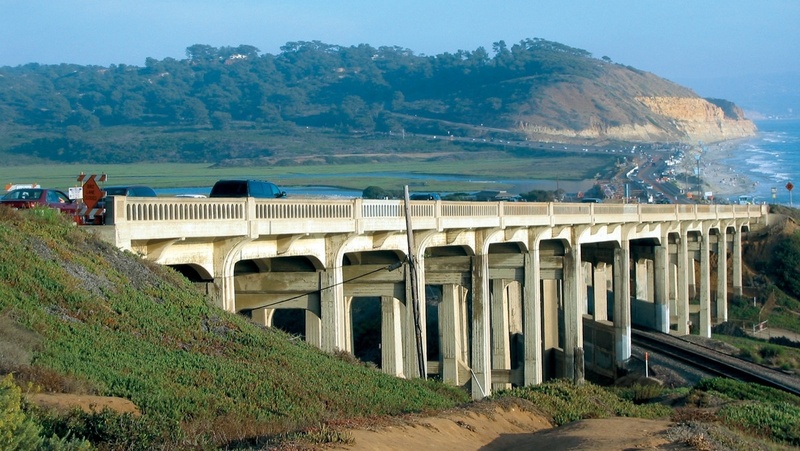 The North Torrey Pines Road Bridge is a 550-foot long structure built in 1933 located in Del Mar, CA, that had suffered from severe corrosion and required major repairs. To preserve this historic structure, a specialized rehabilitation strategy was developed that would maintain the historic look and feel of the bridge while improving its structure with modern high-performance seismic durability. Kleinfelder, the engineering firm for the project, chose a precast concrete system to meet the needs of the project because precast concrete would deliver the high-performance seismic and durability they needed, with the design flexibility to maintain the historic look and feel of the original bridge. 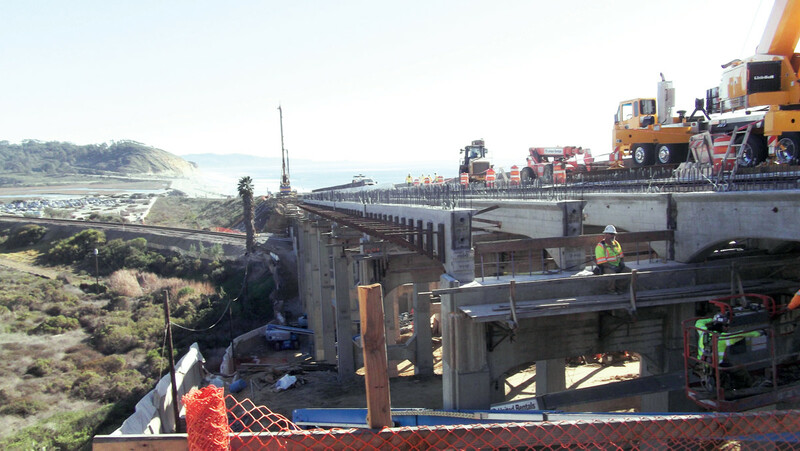 Construction of the bridge included replacing the superstructure with a precast, post-tensioned concrete replica, supplemental “hidden” abutments, ground improvements to mitigate seismic liquefaction, and shear retrofit of all columns. 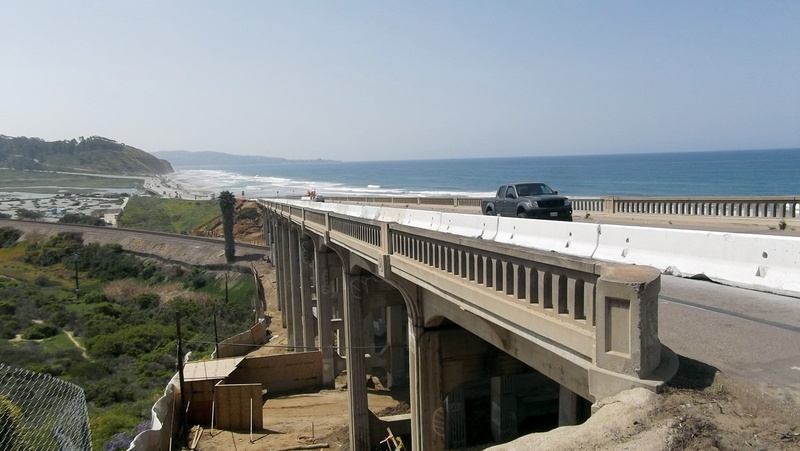 The precast concrete bridge girders were pretensioned to introduce a compressive force in the units, but then were post-tensioned into continuous spans, thus providing a structure that should perform well in the aggressive marine environment. 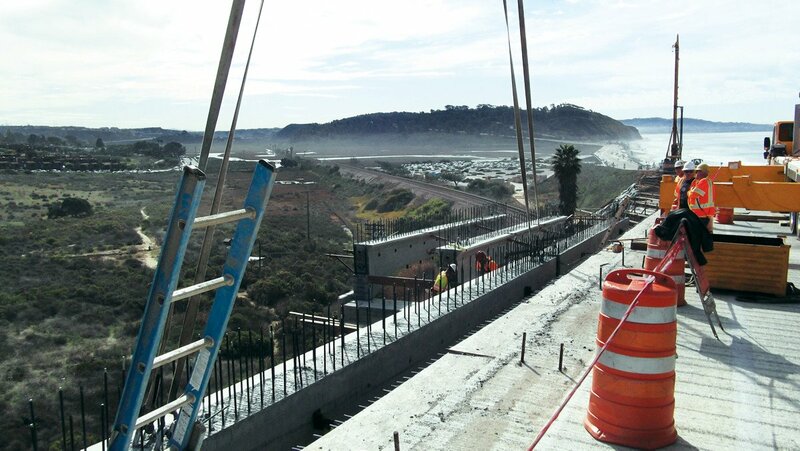 All of the precast concrete pieces, supplied by the Perris, CA, plant of Oldcastle Infrastructure, A CRH Company, featured complex geometry, including warped soffits, varying end bearing conditions, and multiple girder shapes. To replicate the historic board form finish on the original structure, a textured surface was added to the sides and bottom of all the precast concrete components. 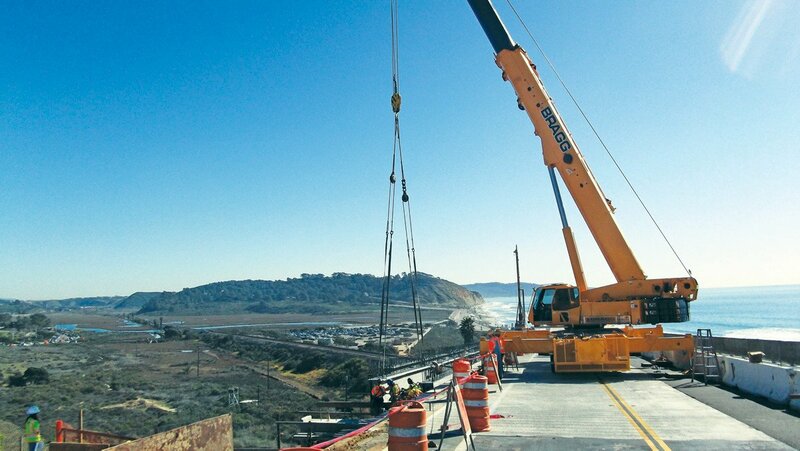 “Oldcastle Infrastructure is proud to be recognized for this complex bridge project, which highlights precast concrete system adaptability. Our skilled staff is to be commended for their continued dedication to producing superior quality products." The end result is visually indistinguishable from the original bridge. The Perris, CA, location of Oldcastle Infrastructure was recognized in the 53rd Annual Precast/Prestressed Concrete Institute Design Awards Competition for precast design excellence and quality construction. They received the 2015 Precast Concrete Institute’s 2015 Design Award in the Best Rehabilitation Bridge Category. PCI Design Awards is a long-standing program that recognizes design excellence and construction quality using precast concrete. The judges' panel consisted of some of the best industry leaders in building design, transportation, and architecture. 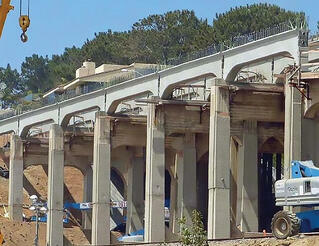 Aesthetics and durability are just a couple challenges engineers and architects must work with on bridge projects. Learn about other familiar challenges and the solutions CRH offers on our Infrastructure page.